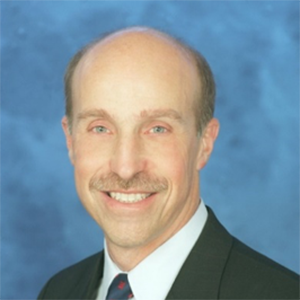 Dr. James P. Bagian is a physician and engineer who currently serves as the Director of the Center for Healthcare Engineering and Patient Safety at the University of Michigan and focuses on creating solutions that will make healthcare safer, as well as more effective and efficient, for patients. Previously, he served as the first Chief Patient Safety Officer and Founding Director of the National Center for Patient Safety (NCPS) at the U.S. Department of Veterans Affairs (VA). He has also held positions as a NASA physician and astronaut; U.S. Air Force flight surgeon; and engineer at the U.S. Department of Housing and Urban Development, U.S. Navy, and Environmental Protection Agency. Dr. Bagian was selected in 1998 by the VA to establish NCPS and became its first Director. He developed and implemented an innovative national program aimed at protecting patients from hospital-based harm, which the VA has implemented at all 173 VA hospitals. Moreover, this program served as the benchmark for patient safety in hospitals worldwide and earned the Innovations in American Government Award in 2001 from the John F. Kennedy School of Government at Harvard University. During his 15-year tenure with NASA, Dr. Bagian flew on two Space Shuttle missions. He led the development of a high-altitude pressure suit for crew escape as well as other crew survival equipment. In addition, he was the first physician to successfully treat space motion sickness, and his approach has been the standard of care for astronauts since that time. He also served as an investigator in the inquiry following the 1986 Challenger accident and was appointed as Medical Consultant and Chief Flight Surgeon for the Columbia Accident Investigation Board (CAIB) in 2003. Dr. Bagian’s contributions to military service include advancing new methods of military aircraft ejection seat design and serving as a colonel in the U.S. Air Force Reserve. As the Special Consultant for Combat Search and Rescue to the Air Combat Command, he was a leader in standardizing pre-hospital combat rescue medical care across all Air Force major commands and is one of the founding members of the Department of Defense’s Committee on Tactical Combat Casualty Care, whose work in pre-hospital trauma care has substantially reduced mortality of service members who suffer battlefield wounds. Dr. Bagian was elected as a member of the National Academy of Engineering in 2000 and as a member of the Institute of Medicine in 2003. He received a B.S. in mechanical engineering from Drexel University in 1973 and earned an M.D. from Thomas Jefferson University in 1977.